Wow. What a beautifully dark and twisted journey this book took me on. The way the characters use fairy tales to make sense of a horrific and bitter reality pierces me right through the heart. The prose drips with elegance. 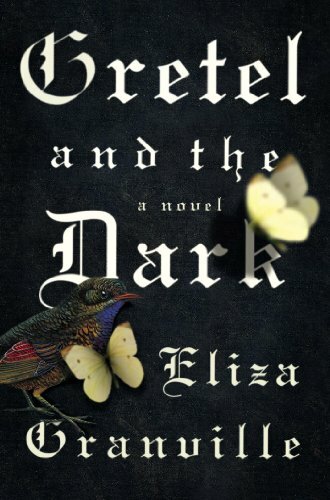 And we're supposed to believe Eliza Granville is a debut novelist? Get outta town. Some of my very favorite books are those with two or more intertwining storylines, each so different that it's not clear until the very end how they are connected. The Hundred-Year House, The Golem and the Jinni, and Lexicon all come to mind as particularly well-executed examples. Gretel and the Dark now joins my mental list right at the very top. Granville drops hints like bread crumbs along the way, letting you think you know how her two tales will come together, but I for one couldn't have guessed the surprising and perfect way it would happen. The book opens with a Prologue that frankly won't make much sense at first read. Never fear—file it away in one of your unused brain corners and plunge ahead. The first chapter introduces Dr. Josef Breuer, an actual historical figure who was an early mentor to Sigmund Freud and laid the groundwork for psychoanalysis. In the novel's 1899, Breuer is unexpectedly called into service when his gardener discovers a beautiful young girl, naked and beaten and left for dead, and brings her to Breuer's house for treatment. The girl, who Breuer decides to call Lilie, apparently has no memories of her former life. She says she isn't human at all, but a machine, and asks Breuer to help her find a monster and kill him. The next chapter skips ahead in time to Nazi Germany, where a decidedly bratty little girl named Krysta and her father, a doctor, have relocated so he can work in a mysterious hospital. Krysta doesn't know exactly what goes on in the infirmary, but she's not too worried because her father says they're not people he's working on, but dangerous animals. She spends her time telling her doll stories she heard from her old nanny, Greet. As things begin to change and Krysta's life grows darker and more frightening, fairy stories are her escape and her haven. Gretel and the Dark is aptly titled—it's dark indeed, at times crushingly so. But within that darkness is a redemptive story, as beautiful as it is haunting. The way Granville brings all the little strands of her two stories together at the end is stunning (the butterflies! Seriously, someone read this book so we can exclaim and sigh together over what Granville does with the butterflies!) and deeply, achingly satisfying.